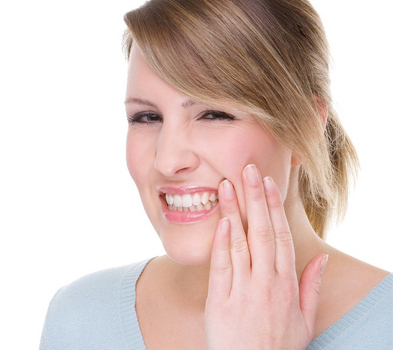 Have you noticed your gums look as if they might be pulling away from your teeth recently? Or perhaps your teeth look longer than before? Gum recession is where the gum tissue surrounding the tooth begins to wear away or pull back, exposing more of the crown of the tooth or even the tooth roots. When it occurs, it’s possible for pockets or gaps to form in between the tooth and the gum tissue which makes it very easy for bacteria to build up. Even worse, these pockets can be quite tricky to clean as it is nearly impossible to get your toothbrush right into them. Periodontitis which is a bacterial infection that destroys the gum tissue. This is the main reason for gum recession. Genetics as some people are more susceptible towards gum disease, while others will simply have thinner gum tissue that is more easily worn away or destroyed by disease. Brushing your teeth tooaggressivelyor using the wrong technique or a brush with hard bristles can damage your tooth enamel and will wear away your gums. Poor home dental care as improper brushing and flossing makes it easy for plaque to build up on your teeth and this substance soon hardens into calculus or tartar. This can only be removed through booking a professional dental cleaning at Bromley Dental Practice. It is important to have regular professional cleanings to help prevent tartar build-up and subsequent gum recession. Hormonal changes, as women’s hormone levels can fluctuate at certain points during their lifetime. Changes in hormonal levels can raise sensitivity towards disease causing bacteria in the mouth, increasing the risk of gum disease. Smoking, as people who smoke are more likely to have sticky plaque that is difficult to remove and which can cause gum disease and gum recession. Bruxism or clenching and grinding your teeth will put a lot of force on your teeth and gums and can cause the gums to recede. Oral piercings can rub against the gums, wearing away gum tissue which is relatively delicate. Treating gum recession can be quite straightforward provided you catch it early enough. Your dentist in Bromley can deep clean your gums through a process called scaling and root planing which removes the build-up of plaque and tartar on the teeth and tooth roots surfaces. This treatment can be very effective, and if necessary you can be prescribed antibiotics to help get rid of any remaining bacteria. If your gum recession cannot be treated through deep cleaning then you may need surgical treatment to try to repair some of the damage to your gums. This entry was posted in Preventative Dentistry on 22nd December, 2014 by Bromley Dental Practice. Gingivitis is a common gum disease that causes irritation and inflammation of the gum tissue. Most victims, however, are unaware that they suffer from this condition because it does not cause any pain at all. Though gingivitis is a mild form of gum disease, it is important to take it seriously and treat it immediately because it can become a severe condition. According to a recent study, gum disease is associated to heart attack, stroke and diabetes. Plaque forms when a person has a poor oral hygiene such as smoking, not brushing and flossing teeth regularly, and avoiding dental check-ups. Plaque is an invisible, sticky film composed mainly of bacteria. When it stays on your teeth for more than three days, the plaque hardens under your gum line and turns into tartar. This makes it more difficult to remove, as it serves as a shield for the bacteria. The longer the plaque and tartar stay, the more they irritate the gingiva. Brushing your teeth at least twice daily. Soft or electric toothbrush is better at removing bacteria in your teeth. Brush thoroughly for two minutes; do not overdo. Flossing, as it is the most effective way to remove food and plaque because it can go into the space between the teeth and gums. Visiting our Bromley dentist regularly is important. Our team will make sure to give you good oral health maintenance routine. If you think you have gingivitis, do not hesitate to contact us today. Our team will listen to your concerns, give you all the time you need and help improve your overall oral health. This entry was posted in Preventative Dentistry on 26th September, 2014 by Bromley Dental Practice. For most of us, brushing our teeth is an automatic habit that we don’t really think about, but it is all too easy to make mistakes in your dental hygiene routine, and this could increase your chances of developing dental problems. So what are the most common mistakes people make? Brushing too hard or for too long. This is very common mistake, as it is easy to think if you brush your teeth very hard then they’ll be that much cleaner at the end. Although they might be clean, you are also likely to wear away your gums and tooth enamel. Brushing too long could have the same effect. Ideally you should brush for around two to three minutes, two or three times a day as this should be sufficient to get your teeth thoroughly clean. Brushing your teeth as soon as you finish eating. Lots of people think the sooner you brush your teeth after eating the better, but it is preferable to wait at least half an hour before doing so. Your mouth becomes more acidic immediately after eating, which softens your tooth enamel, and some of the minerals from the enamel are leached out into your saliva. Waiting for half an hour gives your mouth a chance to become less acidic, and some of the minerals in your saliva will be re-deposited back into your tooth enamel. If you brush too soon these minerals will be lost forever. Not using the right toothbrush. Do you choose a hard bristled toothbrush thinking it is more effective? If so then switch to a soft brush, as it will clean your teeth just as well without damaging your tooth enamel or gums. It also pays to choose a brush with a small enough head to get right to the back of your mouth, and you can even buy a child-sized brush if necessary. Using a toothbrush that is way beyond its sell-by date. Ideally you should replace your brush every two or three months, or as soon as you notice the bristles begin to look worn out or splayed. Some brushes have coloured bristles that gradually fade to tell you when to change. Toothbrushes are cheap to buy, so it doesn’t make any sense to economise on them. Not flossing every night. Flossing can seem like a pretty thankless task, especially if it is late at night and you are tired, but it is essential. Every day a layer of plaque will build up on your teeth and gums, consisting of bacteria and food particles. This must be removed as otherwise it will infect and inflame your gums. If you are not sure of how to floss then please ask Dr Zaki Bashir or another member of our dental team for a quick demonstration. It can be far easier to do once you know how, and should only take a couple of minutes out of your whole day. 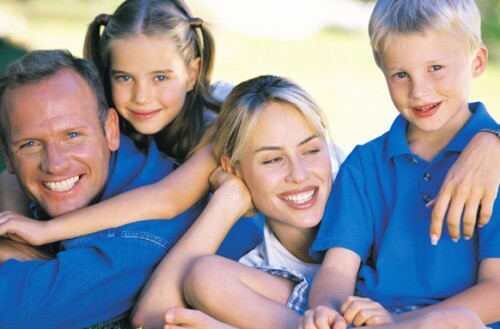 You’ll find your Bromley dentist is extremely keen on preventative dental care. We would far rather help your teeth last for as long as possible, than have to discuss options for their replacement. Even though many more people are choosing dental implants in Bromley to replace their missing teeth, your own natural teeth are better, and cheaper. This entry was posted in Preventative Dentistry on 11th August, 2014 by Bromley Dental Practice. What Is Tooth Decay and Can It Be Avoided? Tooth decay is incredibly common, and most of us will have at least one filling. It happens when the tooth enamel is attacked by bacteria in the mouth. Every time you eat something then particles of food remain in your mouth and combine with plaque bacteria to create a sticky film that covers your teeth and gums. You might even be able to feel this sticky film at the end of a very long day, just before you brush your teeth. The bacteria in this plaque biofilm use leftover food as an energy source, creating acid as a by-product. The acid attacks the tooth enamel, weakening and softening it, increasing your risk of developing a cavity. One of the first signs that this might be happening is if you notice your teeth feel more sensitive when you eat something particularly hot or cold. This is because the outer layer of tooth enamel is gradually eroded away, exposing the next layer of the tooth structure which is called the dentine. This is a much softer material and consists of lots of tiny tubules that lead directly to the pulp of the tooth which contains all the nerves and blood vessels. Its exposure makes it much easier for the sensations of hot and cold foods to penetrate right to the centre of your tooth, causing sensitivity or even pain. Quite often there will be very few symptoms, and this is one of the reasons why it’s so important to visit Bromley Dental Practice at regular intervals. Your Bromley dentist can examine your teeth using high magnification and will be able to pick up on any soft spots or pits in your teeth that could indicate the beginning of a cavity. At this stage tooth decay is quite easy to treat, and it’s much less expenses for Dr Zaki Bashir to place a small filling than to leave the cavity to develop until it is much more deep-seated. When this happens there is the risk the cavity could reach right into the pulp area of your tooth, and it can be pretty painful. Treatment would involve a root canal to remove the infected pulp and to repair the tooth. This can sometimes be done through placing quite a large filling, but often it can mean the tooth has to be restored with a crown. It’s far more cost-effective to attend those regular check-ups! If you do have small cavity, Dr Bashir will recommend filling it with white composite resin material. This is tooth coloured and works in harmony with the rest of your teeth, providing as very strong and stable restoration. You’ll be kept comfortable right throughout treatment with a local anaesthetic as it’s necessary for your dentist in Bromley to remove all the infected and decayed tooth structure. Next, the area to be filled will be thoroughly cleaned and dried, and the composite resin is placed in tiny increments and will be hardened at regular intervals using a special light. Finally, it will be trimmed and polished so it looks very natural. Once treatment is completed you’ll be able to use the tooth as normal. If you have any larger cavities Dr Bashir might recommend an inlay or onlay. This is made from porcelain and is stronger and longer lasting and more suitable for repairing large areas of decay. This entry was posted in Preventative Dentistry on 23rd June, 2014 by Bromley Dental Practice. Do You Clench and Grind? Lots of people do and they’re not even aware they have the habit as it can often occur during sleep. It’s not uncommon for people to be completely oblivious to the fact they clench and grind, unless they are told they are making a noise during the night by a sleeping partner, or if the problem is identified by their dentist in Bromley. The proper term for clenching and grinding is bruxism and it’s no joke. It can do a huge amount of damage to the teeth and also to the gums due to the pressures placed on these structures, and it can affect the jaw joints. The worst cases will do so much damage that teeth will need to be completely replaced and early treatment is essential to minimise the effects on the teeth and jaws. If you have any of these symptoms and haven’t been to the dentist for a while then it’s worth booking a check-up with Dr Zaki Bashir, to hopefully rule out bruxism. Your dentist will soon be able to identify whether or not you have this condition and can recommend treatment to prevent further damage to your teeth and gums. Treatment usually focuses on preventing the teeth from coming into contact while you’re asleep, and this is done through providing you with a custom-made night guard. 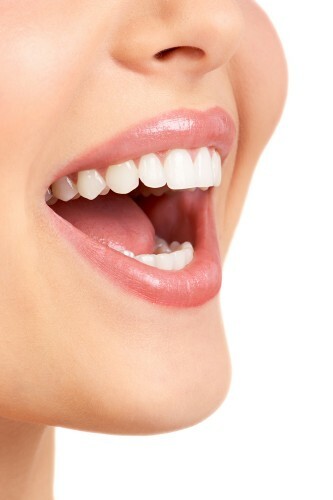 Most night guards are made from a thermoplastic material and fit comfortably over the teeth, holding your bite slightly open. It does take time to get accustomed to wearing a night guard, so you need to allow yourself a few weeks to get used to the feeling. You’ll need to thoroughly clean your night guard after each use, using a soft toothbrush and a smear of toothpaste to scrub the inside. It’s also quite nice to freshen it up with a few drops of mouthwash every week. Make sure it is stored somewhere it can dry naturally, and that it’s kept out of the reach of dogs as it is not unknown for them to chew on their owners night guards. Bruxism is thought to be related to stress, and if you know you are under quite a lot of pressure at the moment then it could be worthwhile taking steps to reduce this. While it might not be possible to eliminate stress completely, there are various measures you can take to at least reduce the impact, for example taking up exercise or yoga, or trying meditation. If bruxism is causing quite a lot of pain around your jaw joints then it can be helpful to use heat pads to relax the facial muscles. Hopefully, using a night guard will help reduce or eliminate bruxism. It might only be necessary to wear the night guard for a few months, although some people will need to wear it in the longer term. This entry was posted in Preventative Dentistry on 26th May, 2014 by Bromley Dental Practice. Do you book preventative dental appointments at regular intervals, or do you tend to ignore polite reminders from your dentist in Bromley? Ignoring your dentist could cost you more money in the longer term, and could even lead to tooth loss. Preventative dentistry is the easiest way to help maintain your teeth and gums, and helps keep your smile looking its very best all the time. In spite of this too many people still neglect to attend regular check-ups and hygiene appointments, especially if they think their mouth is perfectly healthy. One of the problems with this approach is that many dental diseases cannot be easily detected, and some do not create any symptoms until they are relatively well advanced. By this stage treatment is likely to be lengthier and costlier, and will probably mean you’ll need to spend more time than you’d like at Bromley Dental Practice. While we are always happy to see you, we’d rather it wasn’t for emergency dental care! In contrast, just spending an hour or so with us every six months could help ensure your teeth last for longer, and that your gums remain strong and healthy. During this appointment, Dr Zaki Bashir, or another of our dentists in Bromley, will be able to check your teeth and gums are free from disease. This is usually done by visually examining your teeth using high magnification, and through gently probing them for any soft areas that could indicate decay. It is necessary to have dental x-rays every so often, as these help show areas hidden from view, such as the contact points in between each tooth. Dental x-rays can also show any fillings that might have begun to leak, and can be used to check the fit of existing restorations such as crowns and bridges. These problems are far easier and cheaper to treat when detected early, and this will hopefully lessen your chances of developing toothache or a dental abscess. Dr Bashir will also check your mouth for any signs of oral cancer. Mouth cancer is very rare, but more people are being diagnosed with this condition, and rates are predicted to rise during the coming decade. Dental hygiene is very important, and a regular scale and polish will help keep your teeth and gums strong and healthy. This is because the procedure removes all the hardened calculus or tartar from your teeth. Tartar consists of plaque bacteria, and this can infect the gums so they become inflamed and diseased. Regular removal of tartar decreases your chances of developing gum disease, and is very important as gum disease is the main reason teeth are lost. Bromley Dental Practice can also help you improve your hygiene routine, and you will always find any of our dental team are willing to demonstrate the best way to floss and brush, and can discuss different techniques for increasing the effectiveness of dental care at home. This entry was posted in Preventative Dentistry and tagged Dentist Bromley, Preventative Dentistry on 28th April, 2014 by Bromley Dental Practice. Bad breath is called halitosis, and most of us will suffer from this occasionally but it can be a problem if bad breath becomes persistent. This is because it can often be a sign of poor dental health, or it may indicate other health problems. How Does Poor Oral Health Lead to Halitosis? Your mouth contains lots of different kinds of bacteria, and whenever you eat something or have a sugary drink then particles will remain on your teeth and gums. These are a great source of food for these bacteria, and as their numbers multiply they will create noxious odours. Small pieces of food can also become trapped in between the teeth and will gradually rot, causing unpleasant smells. Normally these bacteria and food particles will be removed through regular brushing and flossing before they can create extensive problems. It becomes an issue if you’re less than vigilant about brushing twice a day and flossing once a day, as this really is the only way to thoroughly clean your teeth. Flossing is especially important as those contact areas in between your teeth account for around a third of all tooth surfaces and they’re prone towards developing tooth decay. In addition food and plaque bacteria trapped in these areas can quickly lead to the gums becoming infected and inflamed and to the development of gum disease. Halitosis can also be caused through improperly cleaning or failing to clean dental appliances such as dentures and braces. Food and bacteria can easily become trapped in these appliances and they’ll soon become unhygienic to use. If you think your breath might be less than sweet and then it’s probably time to book a check-up with Dr Zaki Bashir, or with another Bromley dentist. Any problems such as gum disease and tooth decay can be treated, and your teeth can be professionally cleaned by one of our hygienists. We can also help with any other problems such as dry mouth or xerostomia. Dry mouth is where insufficient saliva is produced to help keep the mouth clean and fresh, and it can lead to halitosis. This condition can be caused by a number of different things including certain prescription drugs, or it can be a side effect of certain health conditions. It can be managed through the use of artificial saliva, or if it’s related to prescription drugs then it might be worth visiting your GP to see if anything different can be prescribed. It is always important to continue taking any prescription drugs unless otherwise advised by your doctor. If your dentist in Bromley can’t find any dental related reasons for your bad breath then they might recommend you visit your GP. This is because it can sometimes be caused by undiagnosed health conditions. These include diabetes, acid reflux, pneumonia, bronchitis, chronic sinus infections or liver and kidney problems. This entry was posted in Preventative Dentistry and tagged Dentist Bromley, Preventative Dentistry on 10th March, 2014 by Bromley Dental Practice. If you’ve recently noticed your gums begin to bleed when you brush or floss then you might have dismissed this as simply something that happens every so often. It’s not something that should be occurring when your gums are healthy and free from disease, and noticing they bleed slightly is the first sign of trouble. Other early warning signs include noticing your gums look slightly swollen or red, or feeling that you’re developing bad breath. These are all signs of gum disease, and the early stages of this condition are called gingivitis. If you manage to catch it at this stage then it’s relatively easy for Dr Zaki Bashir to treat, and it can be cleared up completely. It’s far more serious if you allow it to progress without seeking treatment, as it can easily turn into periodontal disease or advanced gum disease. This not only affects the gums but also all the other tissues and structures supporting your teeth including the ligaments and even the bone around the teeth. In fact gum disease is the main reason for tooth loss in the world, and even worse it can affect your general health. This is because bleeding gums allow bacteria from the mouth to get into your bloodstream, and scientists have connected the presence of these bacteria to numerous other serious health conditions. 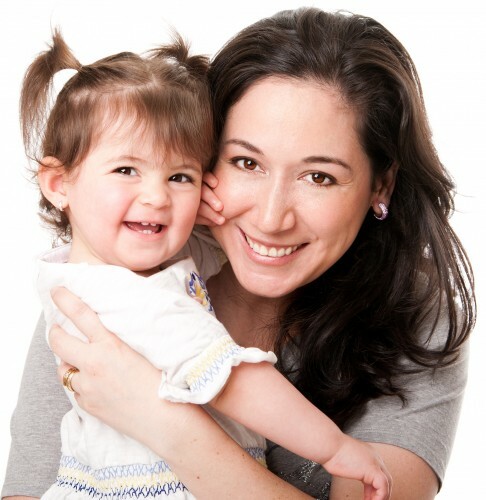 Your first step should be to make an appointment with your dentist in Bromley, and to book a dental hygiene in Bromley. Having your teeth professionally cleaned helps to remove the bacteria that cause gum disease, giving your gums a chance to heal. Your Bromley dentist will also assess the state of your gums, and will check to see how far the gums have receded. You’ll be given lots of advice on how to care for your gums and how to make the most of your brushing and flossing regime. If you find it difficult to floss then talk to the dental team at Bromley Dental Practice as there are lots of techniques we can show you to help make it easier. There are also different tools you can try instead of conventional dental floss, and these can often be easier for people who have limited mobility in their hands. If you stick to thoroughly brushing and flossing your teeth at home, even if it initially makes them bleed, then you should soon notice a real difference in the state of your gums. They should begin to look healthier and will fit more tightly around your teeth, and they’ll bleed less frequently when you brush or floss. Eventually the bleeding should cease completely as your gums become stronger and firmer to the touch. You need to get your teeth professionally cleaned every six months or so, although your dentist in Bromley might recommend more frequent cleanings if you have any medical conditions that affect your dental health such as diabetes or any other conditions that impact your immune system. With proper dental care there is no need to have unhealthy gums that bleed. This entry was posted in Preventative Dentistry and tagged Dentist Bromley, Preventative Dentistry on 17th February, 2014 by Bromley Dental Practice. Do you currently have a tooth that feels a bit sensitive whenever you bite or chew on it, or perhaps it’s beginning to ache slightly? If so then fight the temptation to ignore it, and book an appointment to come and see Dr Zaki Bashir or another of our dentists in Bromley. This is because toothache is your body’s way of telling you something is wrong and it’s always worth investigating. Normally your teeth are protected with a thick layer of dental enamel which is one of the hardest substances in the human body. Your dental enamel is constantly under attack from the bacteria in your mouth that produce acid whenever you eat or drink something sugary or full of carbohydrates. Over time your enamel can become softer, allowing the bacteria to penetrate the interior part of the tooth. The dentine layer lies directly underneath the tooth enamel and is much softer and more susceptible towards decay. Once the bacteria penetrate the tooth enamel and reach the dentine they will be able to eat away at this layer causing a cavity. The actual hole in your tooth might look quite small, but the cavity inside the tooth will gradually increase in size, and you might find that one day you bite down on that tooth and it simply crumbles away. Over time the bacteria will gradually penetrate the tooth even further, eventually reaching the pulp. This is the part of the tooth that contains all the nerves and blood supply to the tooth, and when it becomes infected it’s likely to be extremely painful. By this stage you will need root canal in Bromley to save the infected tooth. Root canal treatment is one of those things that a lot of people feel fearful about having, but the reality is it’s no worse than having a filling and your dentist in Bromley will make sure you’re comfortably numb for the whole process. In fact root canal therapy is great at helping to preserve teeth that would otherwise have to be extracted. Once it’s completed you’ll be able to bite on the tooth perfectly normally, and your restored tooth could last for many years or even your entire life. Even though this treatment is excellent, we’d much prefer that you didn’t need it, and this is something that can be achieved through taking action when you think there’s something wrong with your teeth, or preferably before you notice any symptoms. Regular dental exams at Bromley Dental Practice will enable our dentists to detect any signs of small cavities so they can be easily filled before they cause you any pain. This is one of the reasons why we take regular dental x-rays as these can show us early signs of decay in areas that are hidden from view such as right between your teeth. Small cavities are easy and quick to fill, and will cost you less money. This entry was posted in Preventative Dentistry and tagged Dentist Bromley, Preventative Dentistry on 3rd February, 2014 by Bromley Dental Practice. Do you feel you expose too much gum whenever you smile or speak with others? Or perhaps your gum line is uneven? It is easy to feel self-conscious about this, but quite a lot of people have something called a ‘gummy smile.’ Luckily it is a condition we can treat quite easily at Bromley Dental Practice, as Dr Zaki Bashir can re-contour the shape of your gums to give them a far more pleasing appearance. Your gums are pretty important as they help to frame your teeth, and gum contouring is something that is often carried out as part of a smile makeover, or prior to having teeth veneered or crowned. Having an even gum line that exposes the correct amount of tooth will help provide you with a naturally beautiful smile, helping to boost self-confidence and self-esteem.. Some people will only need a small amount of gum tissue removed, while others might need a more substantial amount taken away. When only a tiny amount of gum tissue needs to removed, then this treatment is sometimes carried out in conjunction with another process called tooth reshaping. This is where the teeth are reshaped to give them more pleasing contours, and this is done through removing a very small amount of tooth enamel before the tooth is polished to give a natural look and sheen. This treatment can also be used to help correct teeth that are slightly overlapping through removing a very small amount of tooth structure in between the teeth. If the tooth is oddly shaped or is slightly too short, your dentist in Bromley might choose to re-contour the tooth using dental bonding. This is where composite resin is used to build up the tooth into a nicer and more attractive shape. The material used is the same as for white fillings, and can be very closely matched to your existing tooth colour. If necessary your Bromley dentist will use several different shades to recreate a natural looking tooth. This process is very conservative, and is ideal if a tooth is slightly chipped or worn. Treatment for a gummy smile is fast and quite painless, although you might notice your gums are slightly swollen afterwards. It can take a while for your gums to settle down, and during this time they might change shape slightly as any swelling subsides. Once they have fully healed you should notice a considerable difference in the way they look. Gum contouring in Bromley is very safe and is minimally invasive, but could make a huge difference to your smile. If you are interested then it is best to make an appointment for a consultation with one of our dentists in Bromley. We will be able to assess your smile, and will recommend this treatment if we think it is right for you, and that it will provide the kind of results you are hoping for. This entry was posted in Preventative Dentistry and tagged Dentist Bromley, Preventative Dentistry on 27th January, 2014 by Bromley Dental Practice.